All the buzz about foldable smartphone screen has gone wild – and the industry takes it seriously! While Samsung has generated the buzz as their patent concept leaked to the public, Apple plans to unleash their version of foldable smartphones by the year 2020. 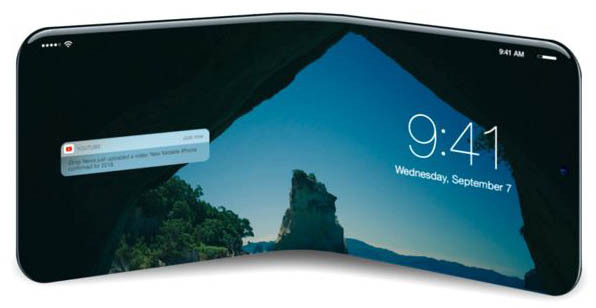 Analysts speculate that the foldable iPhone will be used just like an iPad tablet. This moment marks as an important breakthrough in the history of smartphone. As innovators are experimenting with new sensor and hardware, users can indulge in new screen configuration. On the other side of the ring is Samsung’s Chief of Mobile DJ Koh, who has confirmed that the foldable phone will be here as soon as possible, with the help of OLED technology. Don’t want to miss the party, Apple is claimed to have cooperated with OLED LG for their own foldable iPhone in the future. Also, Huawei is heard as the contender in this race.